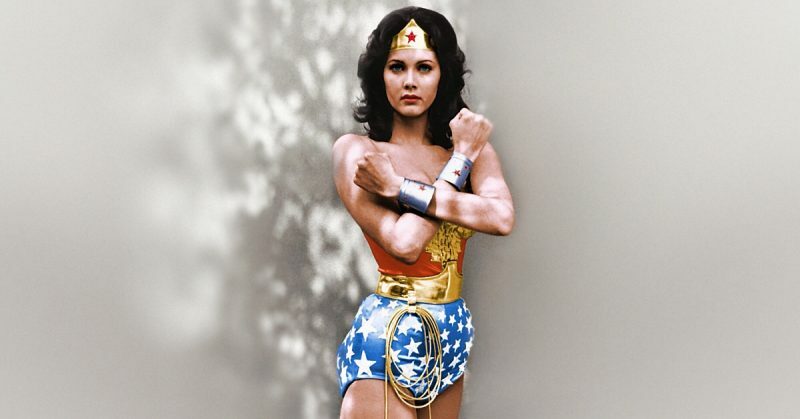 Lynda Carter, famous for her role as Wonder Woman, didn’t have it easy all the time. She indeed had to struggle to earn her place as one of the most iconic female roles in recent history. She started her career early, at the age of 5, when she participated in the Lew King Ranger Show. Even though her performance was not particularly remarkable, she managed to get some exposure from it. However, she was always a stand-out from her peers, and not always in a good way. Curiously enough, she was not known to be beautiful and talented, as we know her now, but for being tall and thin. She had studied classical dance and drama throughout her youth, but Carter chose music as her path. She started singing in a local pizza joint that paid her $25 a week, barely enough to survive. Her cousin, Gary Burghoff, asked her to start a band with him, after a brief stint with her previous band. The band was tellingly called The Relatives. After playing some gigs in Las Vegas, life on the road became too much for Carter so she decided to quit her music career and she returned back home, where she entered a local beauty pageant. 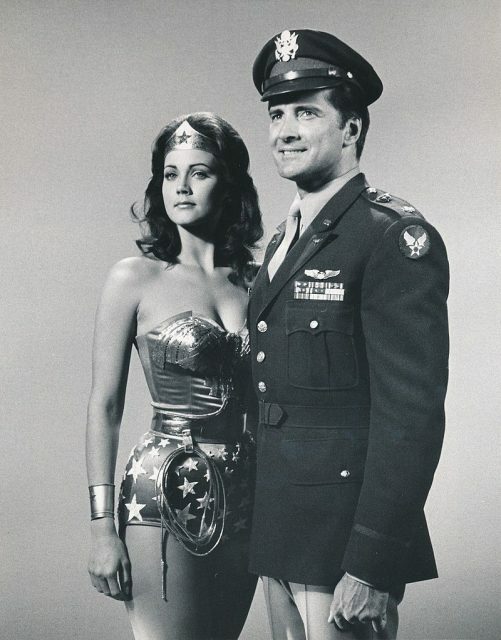 In 1973, Lynda Carter was crowned Miss U.S.A. This was crucial for her career as it gave her confidence in her looks. She finally realized that she was not only Olive Oyl, but that other people see her as beautiful. Carter enrolled in acting classes, and we are lucky that this happened, else we would not have the feminist heroine, Wonder Woman. She moved to L.A. in search of the role that would bring her well-deserved fame. As many aspiring actors and actresses pursuing a Hollywood career, she struggled financially. Her parents were generous enough to scrape together some money for her before she managed to get the career she wanted so much. 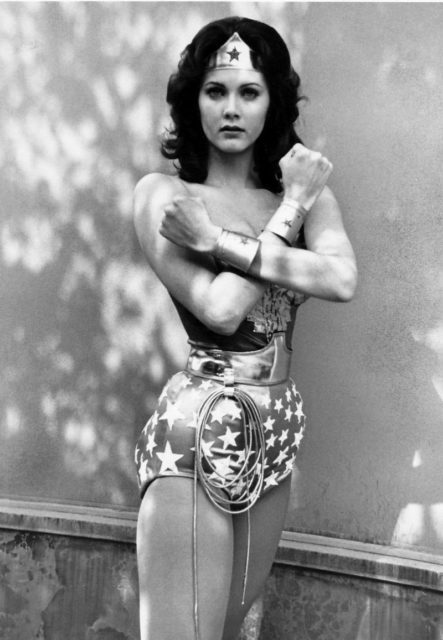 She auditioned for the role of Wonder Woman in 1974 but lost out to Cathy Lee Crosby. A year later she tried again, but never hoped to score the part. She bet against all odds and won against 2,000 other women who were participating in the audition. As the first filming was scheduled weeks later, Carter had to borrow money for her rent as the $25 she had couldn’t cut it. It is good that she did, otherwise we wouldn’t have had the first iconic Wonder Woman if it weren’t for her perseverance.